Looking to find a good, yet inexpensive mover in Manassas, VA? Well, look no more! Our full service moving company serves all of Manassas, including other areas like Woodbridge, Bristow, Dumfries, Gainesville, Haymarket, and all of Prince William County. No matter if you’re moving across town or across the country our pro movers are here to provide you with the best service possible. Our trained, professional moving men and women will ensure that the whole process is as easy as is possible as we are efficient, careful, and affordable. Our licensed, Bonded & Insured Leesburg moving pros deliver quick and efficient local moving and packing services for you, your family, and/or business on an hourly basis. Please note that our expert local moving and packing services also include a charge for our men and truck travel time. Rates may vary based on the date and time of your planned move, so give us a call for current rate plans and specials. And to potentially save more money, you might consider moving mid-week and mid-month when our demand is not as high. If you require storage for your belongings, we have temperature-controlled, secure and clean warehouses available. We are also glad to transport your items to any other storage facility you choose. Some places we use are located at 8537 Centreville Rd, Manassas Park, VA 2011, 7909 Sudley Road, Manassas, VA 20109, 8621 Sunnygate Drive, Manassas, VA 20109, and 8625 Centreville Road, Manassas, VA 20110, with more nearby. It’s so smooth and easy! Just call us for more info. Our employees all complete training programs where they learn professional packing techniques on how to handle furniture and other household items safely. We understand that moving a home or business can be stressful, so Craig Van Lines treats you and your possessions as if they were our own. We’re ready to take the reins for all your moving needs and to help reduce your stress from the move. Call today and learn why we are the best among the Woodbridge, Manassas, Catharpin, Catlett, Dumfries, Gainesville, Haymarket, Lake Ridge, Montclair, Nokesville, Occoquan, Quantico, Triangle and Woodbridge options and in all places in the 20108, 20109, 20110, 20111, 20112, 20136, 20137, 20143, 20155, 20169, 20181, 22025, 22026, 22125, 22134, 22172, 22191, 22192, 22193 zip codes! We are proud members of the Better Business Bureau and we have an A + rating. With our attention to detail combined with our willingness to understand the unique specifics of your moving needs, we ensure that your move to or from Manassas is a pleasurable experience. Gentlemen arrived promptly, introduced themselves and asked for a brief review of what was and was not being moved. They then began protecting our belonging and loading the truck. They were very professional and courteous to myself and my wife. Upon arrival at our new home, they again protected floors and walls. The men were responsive to our requests for furniture placement and were sure to reassemble and check all items they had disassembled. At the end of a very long day, all three men made sure to approach us and again make sure all was well, and wanted to make sure we would enjoy our new home. 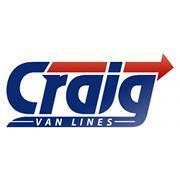 We were totally satisfied with Craig Van Lines and very appreciative of the way the men handled our belongings. If we move again, yes we would use Craig Van Lines. Thank you very much for taking time to complete a review of our company. We are pleased that you were satisfied with the services we provided to you and would welcome the opportunity to service your relocation needs in the future should the need arise. I would use this mover again without a doubt. Thank you for taking the time to complete a review of our company. I apologize that our response is so delayed. We are happy to hear that you were satisfied with the service we provided to you and we would welcome the opportunity to service your relocation needs in the future should the need arise. The movers were timely, professional, courteous, responsive, knowledgeable and did a terrific job moving heavy furniture up to a top level apartment without any mishaps. I'm very satisfied and will provide repeat business the next time I need to move. Thank you for taking the time to complete a review of our company. We are very pleased that you were satisfied with the services we provided to you and welcome the opportunity to service your relocation needs in the future should the need arise. I was most pleased with the five gentlemen who came to load my house contents to move into storage. They were very pleasant and helpful and really wanted me to be pleased. They handled my possessions carefully and took care not to damage the house during loading. I was very happy with this experience. It has been 25 years since my last move! Thank you for taking the time to complete a review of our company. We appreciate it very much and are happy to hear that you were pleased with the services we provided to you.